Winemakers at Col Solare ring the 1,000-pound bell in the tower at the beginning and end of every harvest. THE ROUTE: Yakima, WA > Moxee, WA > Benton City, WA > Milton-Freewater, OR > Walla Walla, WA (150 miles). WHY GO: Eastern Washington and Oregon let both beer and wine lovers see the ag roots of their preferred libation—and offer an excellent range of tasting rooms. WHO IT’S FOR: Enophiles and hopheads who travel together. WHERE TO STAY: Desert Wind Winery has four guest rooms above their adobe tasting room near Prosser. For a deluxe stay near Walla Walla, try The Inn at Abeja, where guests have access to the winery’s tasting room. Desert Wind: From $275, including tasting; desertwindwinery.com. Abeja: From $245, including tasting; abeja.net. Red Mountain AVA. 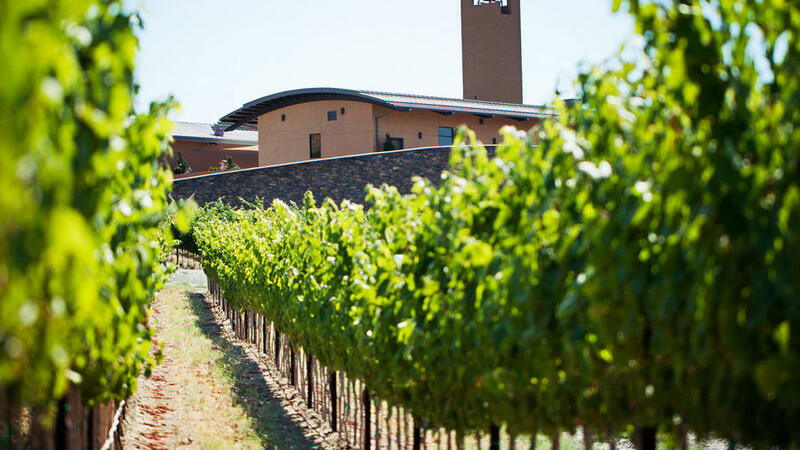 Find a taste of France—palatial château included—at Hedges Family Estate, balanced Bordeaux-style reds at Cooper Wine Company, or luxurious Cabernets at Col Solare, all in Benton City in the Red Mountain region. Hedges: $5 tasting; hedgesfamilyestate.com. Cooper: $10 tasting; cooperwinecompany.com. Col Solare: No tasting fee Sat; colsolare.com.